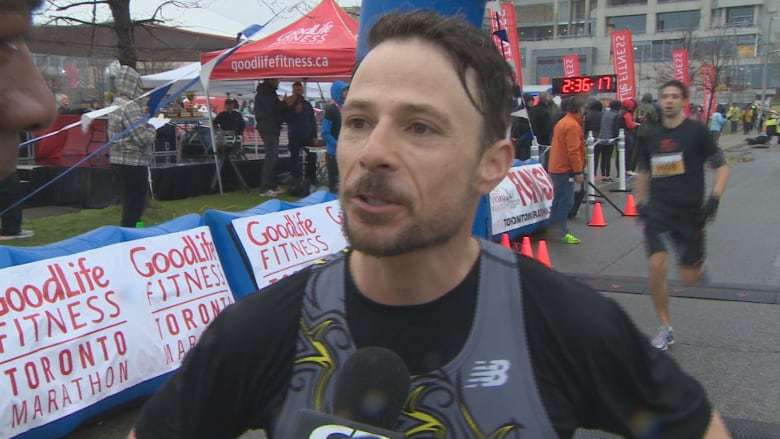 Toronto's Julie Hamulecki and Bryan Rusche have taken the first-place spots in today's Toronto Goodlife Fitness Marathon for the women's and men's categories. Rusche finished with a time of two hours, 35 minutes and 54 seconds. Hamulecki took two hours, 56 minutes and four seconds to finish the race. About 1,800 people ran the marathon. 3840 ran the half marathon. David Keter of Kapsabet, Kenya, came in second in the men's marathon with a time of 2:37:47, and Toronto's Joe Morrow came in third place with a time of 2:39:59. "The conditions were tough today," said Rusche. "It was cold, it was windy, it was wet, but living in Toronto we train all through the winter ... and this is better than the winter." 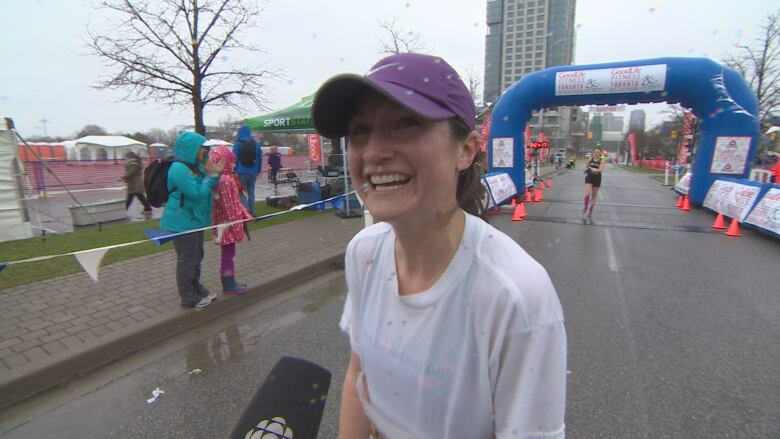 Kathleen Devine, a new mom, won the women's half marathon with a time of 1:20:00. She said she had been out of the running scene for a while after having her baby. "It's just good to be finally back and get to tear the tape," she said. There were multiple races around the GTA today — there were marathons, half-marathons, 10-kilometre and five-kilometre runs in Toronto as well as in Mississauga, which was hosting its own races. Check here for the road closures and diversions surrounding the races in both cities.